Lions, tigers, bears- Oh, what a class! 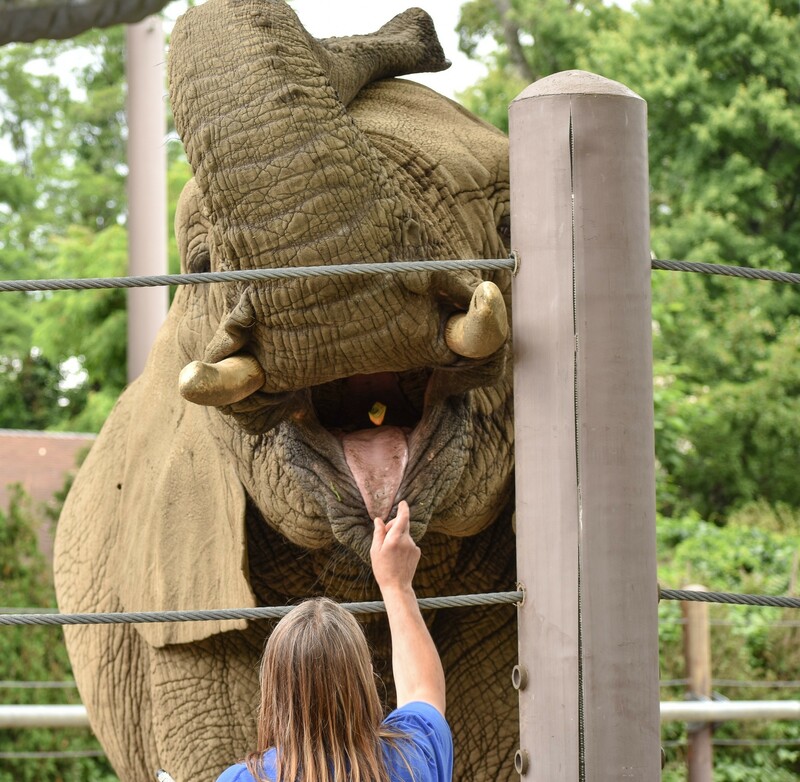 Photo by Gabriela Jeronimo | A zookeeper feeds an elephant at the Roger Williams Zoo. 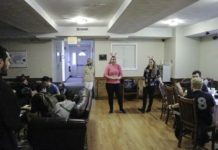 For the first time at the University of Rhode Island, a zoo management class is available to any animal science major to take at the Roger Williams Park Zoo. Justin Richard is currently teaching the course at the zoo and believes that it will do nothing but advance students’ knowledge on, not just animal science, but specifically the day to day actions that occur at a zoo. Each day, the students get to meet a new person that works at the zoo. Richard himself had nothing but positive things to say about the class. Cassidy Clark, a student currently enrolled in the class, agreed with him. She sees this opportunity as a great way for students to step outside the classroom and apply themselves to the real world. The other benefit of this class is seeing and learning the plethora of jobs that are out there and the students’ minds are broadened as to what they can possibly do in the future. For Clark and other students enrolled, the class offers an opportunity to dive into the different jobs they could take on after graduating from URI. Not only does the class offer a new experience outside of the classroom, but a new opportunity for their future. Besides meeting professionals in the workforce, the students must also complete one big project for the class. This project allows the students to not just apply what they learned to their future but to a project that is used on a day to day basis in zoos. So far the class is doing very well and Richard hopes it will continue to be offered since it is at full capacity this semester and others deserve to receive this same opportunity. Both Richard and Clark suggest that no matter what your major is, one should take this class due to its interesting nature and the real world application it provides.